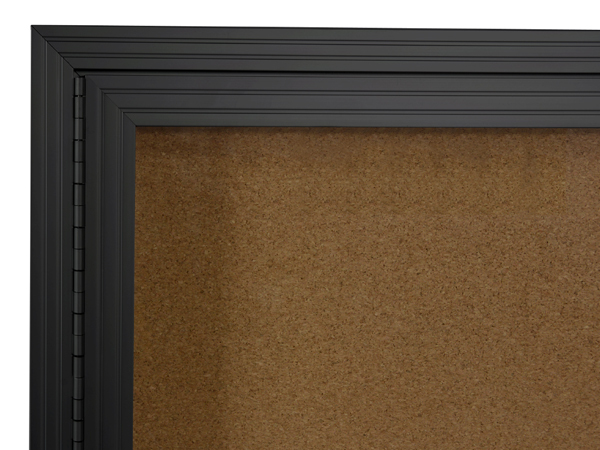 24" x 36" Cork board with black aluminum frame is ideal for high traffic areas. 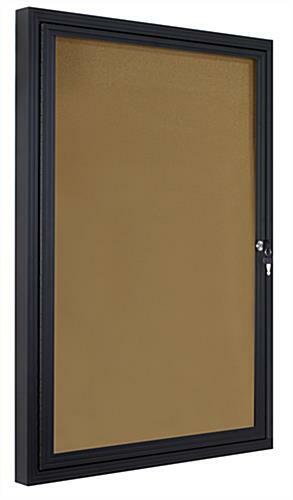 Single swingframe acrylic door for making quick updates and changes. Large interior for posting messages, schedules, and photos. 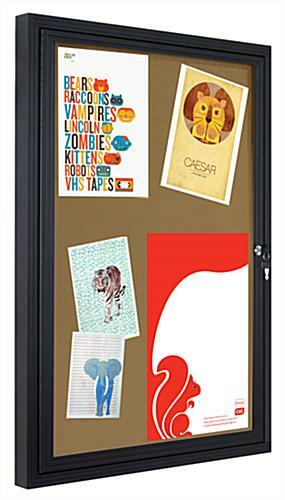 Great purchase for schools, offices, and libraries. 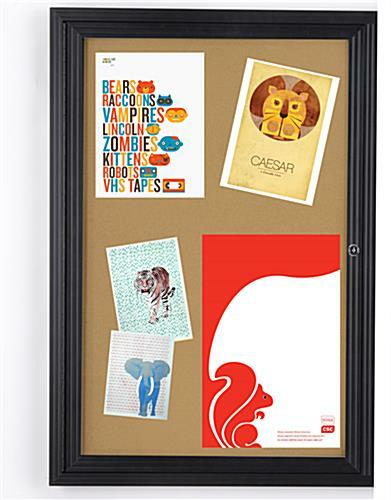 This enclosed cork board is a great purchase for high traffic locations. 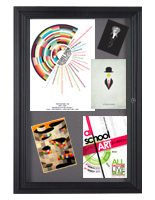 Messages, memos, schedules, directories, and photos can be seen across the room on this bulletin display. 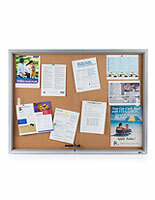 An enclosed cork board, with aluminum frame, has a silver finish. 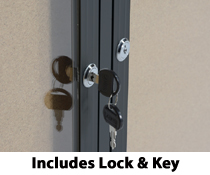 Each indoor unit has a lock and key. 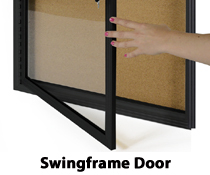 The enclosed cork board, that has a swingframe door, is locking. 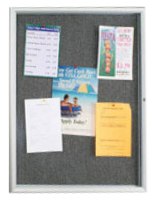 This bulletin display can be mounted in public areas such as waiting rooms, lobbies, entranceways and foyers. 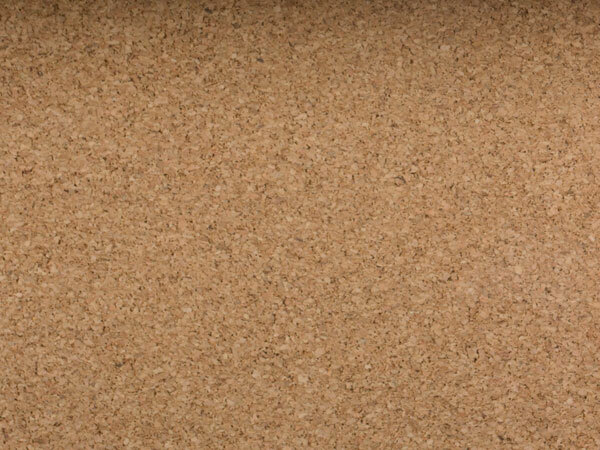 An enclosed cork board, for indoor use, has a natural color backing. 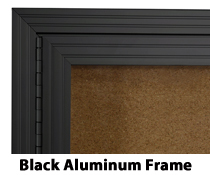 The aluminum frame surrounds the 2’ by 3’ interior to create an attractive and durable tackboard. 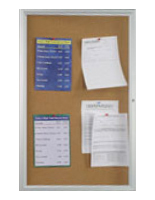 Each enclosed cork board, that is a bulletin display, is designed with an acrylic swingframe door. 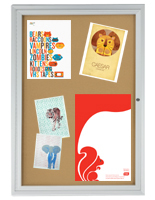 The indoor tackboard easily opens and closes to allow users to repeatedly post information. 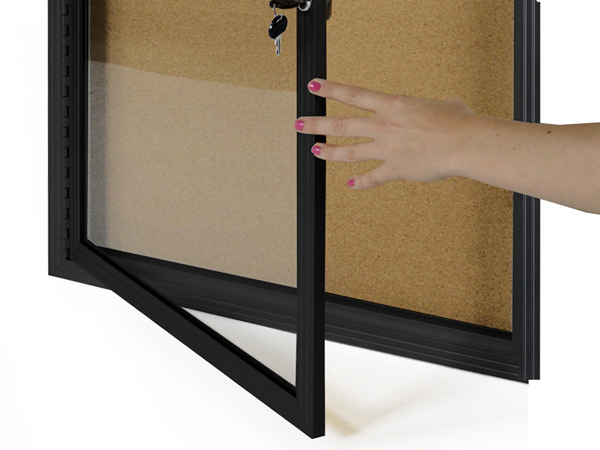 An enclosed cork board, that is locking, is safe to mount in a high traffic area. 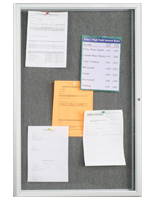 The bulletin display with aluminum frame easily mounts to the wall. 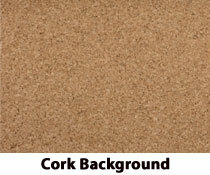 This enclosed cork board, also known as an indoor pinboard, has a slim profile. 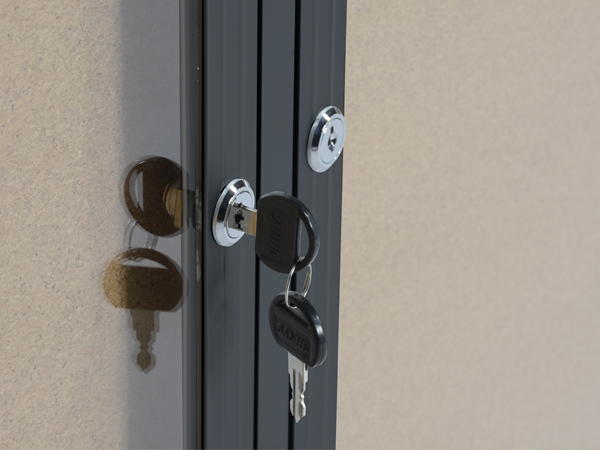 The locking tackboard will complement a wide variety of environments including schools, offices, lobbies, and waiting rooms. 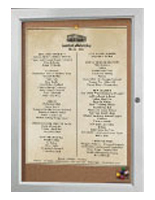 Each bulletin display, enclosed cork board is ideal for businesses to promote important events and announcements to guests and visitors! Thanks, Debbie! 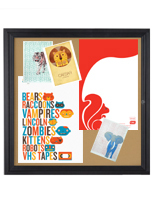 We're glad that you're loving your new cork board! Thanks for the awesome review, Lauren! We're so glad you're happy with us and we love it when our customers show off our products "in action" so we can't wait to see your photo! Just post it on social media (Twitter, Facebook, or Instagram) and tag us and we'll find it and share it! We apologize that you received a defective item, Natalie. A customer care team member will reach out to you to resolve this issue. 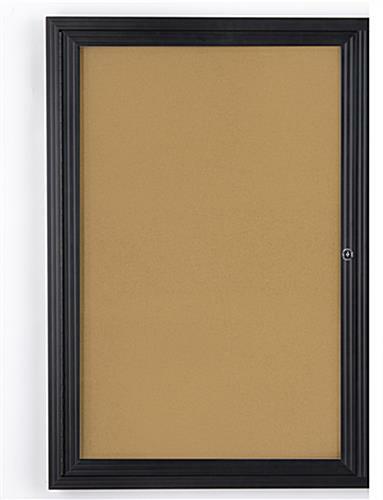 This works great for keeping all our required signage up and in one place at our clinics. Thank you for the review, Natalie. If you are planning on ordering from us again, feel free to like us on Facebook; we offer various social media-exclusive discounts and deals that you may be interested in for future orders!